We all know how fantastic a game Red Dead Redemption II is. But you’d be surprised how many people still have yet to experience the sequel that kicked this franchise into high gear following Revolver. Fortunately, both Best Buy and Amazon are offering the ultimate edition of the game for an unbeatable price this week. The online retailers have Red Dead Redemption: Game of the Year Edition for Xbox One and Xbox 360 for just $9.99. You can purchase the game on Best Buy’s page here for either delivery or in-store pick-up (depending on stock); and can also pick it up through Amazon, with free two-day shipping if you’re a Prime member. 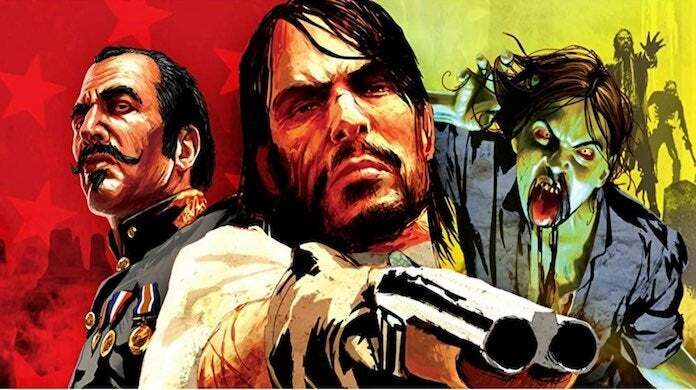 The Game of the Year Edition comes with the full original game, which is considered one of the best games from this previous generation; but it also comes with the Undead Nightmare side adventure, in which John Marston goes head-to-head against a zombie horde. Yep, zombies in the Old West! Ever since its release in 2011, players have been discovering this masterful open-world adventure from Rockstar Games. And with its addition to Xbox One’s backward compatibility- not to mention taking advantage of Xbox One X hardware with its upgraded visuals- it’s become high in demand among this generation as well. And ten bucks is a pretty hard price to beat, especially considering all the content you’re getting. It appears that this sale will be taking place all week long, so grab it here on Best Buy’s page or here on Amazon’s page and jump into this great adventure. That is, if you’ve got time outside of your Red Dead Redemption 2 journey. Red Dead Redemption is also available for PlayStation 3, as well as the PlayStation Now streaming service for PlayStation 4 and PC. What do you enjoy most about Red Dead Redemption? Let me know on Twitter at @TheDCD!